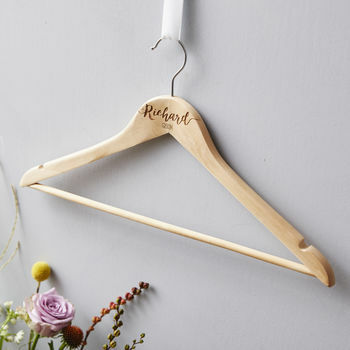 A beautiful personalised wooden 'Groom' hanger, personalised with your lucky chap's name! A thoughtful special touch to any wedding day. 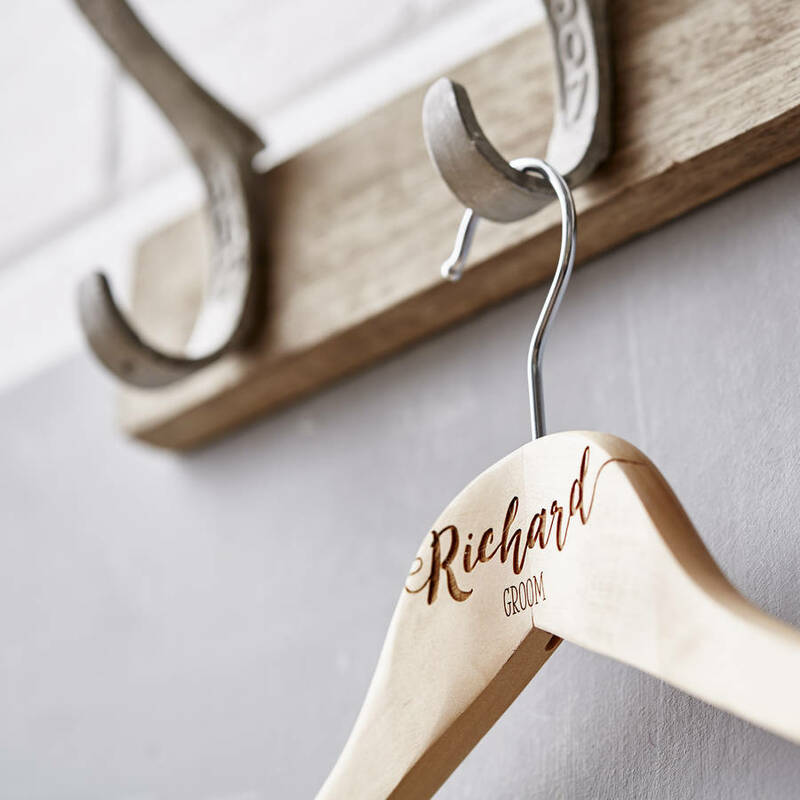 Make sure your Groom's suit is displayed in style with these stunning personalised hangers. Weddings are all about the little details, and these hangers can be kept for years to come as the perfect keepsake. 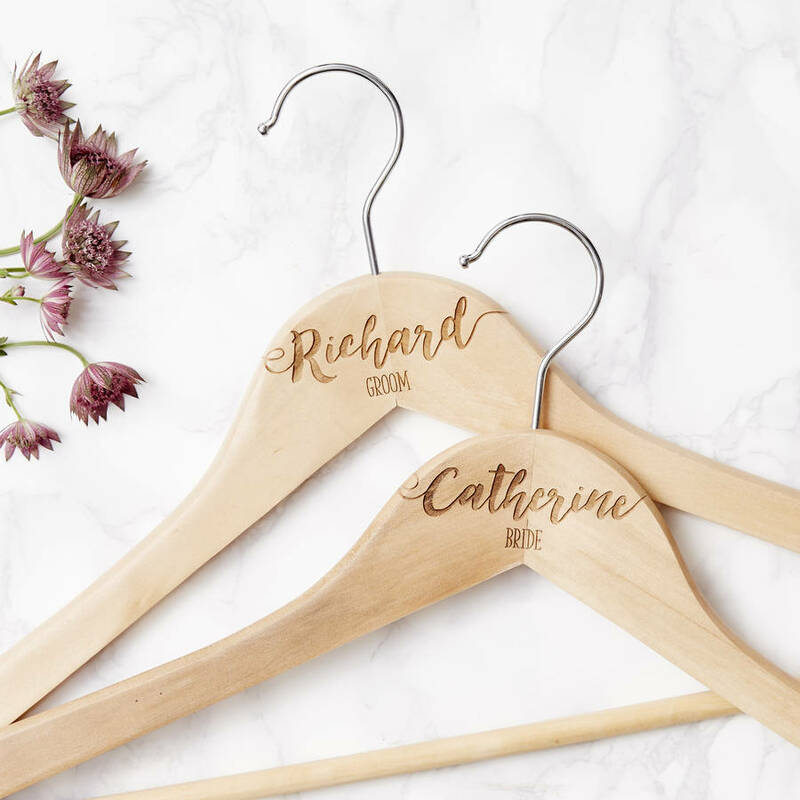 Brilliant as a gift or as a present to yourself for the big day, our personalised 'Groom' hangers are perfect to hang all those outfits on! Also a great gift for brides, ushers and parents!